This page is dedicated to people who inspire us because of their attempts to use their gifts in making the lives of others better. They are far from perfect, but they are individuals who offer a prophetic witness of a commitment to bringing love, kindness and healing to the messiness of life in their time and culture in a unique way. Toggle over their picture to read more about each person. Martin Luther King was a baptist minister who became the leader of the civil rights movement in the United States. Inspired by his faith and the example of Ghandi, MLK believed in nonviolent social change, He utilized marches and sit ins to draw attention to the racism being experienced by blacks in the United States. His work played a significant role in bringing about the Civil Rights Act of 1964. MLK was assassinated in Memphis on April 4, 1969. Dorothy Day is the founder of the Catholic Worker Movement. Started as a newspaper to highlight the plight of the worker during the industrial revolution, Dorothy found that there were countless people who needed immediate and direct service. Unable to look the other way, her focus changed to helping others have their needs met. Working for social justice and change through social disobedience many considered her a radical and called her a communist. She was not always a Christian and thought to have lived a dissolute life. Pope Benedict XVI used her as a model of the journey to faith in a secularized world. Discover more about Dorothy. Bono is the lead singer of the Irish rock music group U2. He, and his band mates have been making music for over forty years and were called the greatest band in the world by Time Magazine. During their career the band wrestled with the question if Rock and Roll is compatible with being Christian. They concluded that using their gifts, in an authentic way, praises God. Spiritual themes are found throughout their music. In an interview with Eugene Peterson, translator of the Message, Bono stated, "Why I am suspicious of Christians is because of a lack of realism and I would love to see more of that." Bono is the co-founder of the One Campaign which has worked to end poverty, HIV/AIDS, malaria and other diseases, especially in Africa. Learn more about the One Campaign and Bono. 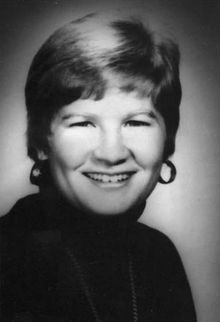 Jean Donovan is an American lay missionary who was raped and murdered while serving in El Salvador in 1980. Before going to El Salvador she volunteered as a Youth Minister, serving the poor in Cleveland, Ohio. Jean served as a lay missionary because she felt called to marriage and becoming a mother. She said that sometimes she wondered why God could not have simply allowed her to be a suburban housewife. Nelson Mandela became the President of South Africa after spending 27 years in prison for his involvement in a sabotage campaign. His mission was to end apartheid in South Africa. He was elected President in 1994. He showed a commitment to racial reconciliation and not inclusivity. 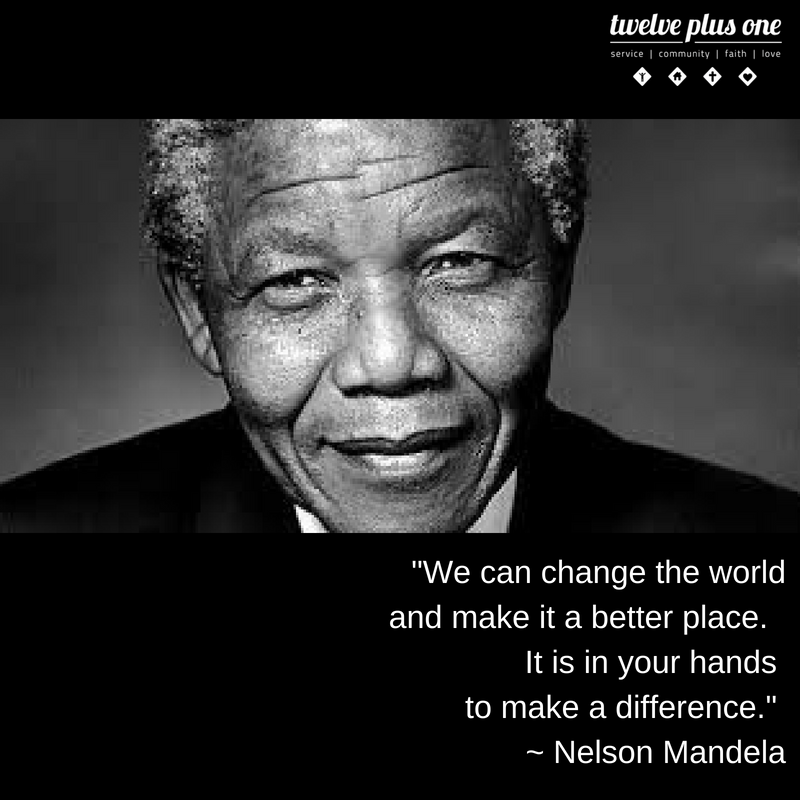 Mandela played a leading role in overturning apartheid the unjust racial system . Malala is a Pakistani woman who as a teen wrote a blog in support of women’s education. Her belief in equality for women led to an assasin boarding her bus and asking, ‘Who is Malala?” He then shot her in the head. Surviving the assassination attempt it simply made her voice louder. Years later she won the Nobel Peace prize. She has continued her commitment to women’s education and other social justice causes. Her challenge to the education system in Pakistan has brought her contempt. She is now studying at Oxford University. A native of Oklahoma Stanley Rother became a priest in 1963. He is the first American born priest to be beatified. He served as a parish priest for five years until his request to be assigned to Guatemala. His greatest desire was to serve the people so he learned both Spanish and an unwritten indigenous language. As Guatemala became more and more enmeshed in civil war he was conflicted about his safety. He knew his life was in danger. Although he had returned to Oklahoma he could not stay away from his people. He told his brother that a “shepherd cannot run from his flock.” Fr. Rother was murdered in 1981 after struggling with a number of gunmen who broke into the rectory. Mother Teresa was the founder of the Missionaries of Charity who served the poorest of the poor in India. She and her order provided medical care, food, orphanages, clinics, and family counseling programs. Following her death it was surprising to many when he revealed the dark night of the soul and the absene of God she often felt. The depth of her love, compassion and service was incredibly Christ-like, it seemed incredulous that she would not have felt the presence of God in an extraordinary way. Mother Teresa was canonized September 2016. Ben Slamon was the first Catholic conscientious objector in the United States. He did not any war was just. Challenging the “Just War Theory” he refused to file with the selective service in 1918. His initial death sentence was changed to 25 years of hard labor. When he started a hunger strike he was placed in a sanitarium. Pardoned and released in 1920, the beatings and forced feedings damaged his health. He passed away in 1932. Today there is a movement in the Catholic Church to canonize him as a saint. Oscar Romero was selected of the Archbishop of El Salvador 1977. With a reputation of being conservative many of Church leaders feared he would not support efforts to respond to government oppression of the poor. When a friend of was murdered by government he was compelled to speak out. Archbishop Romero became a vocal and effective critic of the El Salvadoran government and advocate for the poor. He was canonized a saint on Oct 14, 2018. Pope John Paul II was pope from 1978-2005, the second longest serving pope in Church history. From Poland he was the first non-italian pope in 455 years. He was known for his vivacious spirit and a very active man becoming one of the most traveled popes in history. St. John Paul had a commitment to social justice and orthodoxy to Church teaching. He was especially strong in his opposition to communism and is credited with playing a significant role in the end of communist rule in Eastern Europe. John Paul survived an assassination attempt as pope and remarkably forgave his assailant.